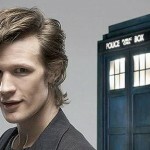 Last week, BBC Worldwide announced that it would host the first official Doctor Who convention in 2012. Many Who cons have been staged before in countries around the world, but this marks the first time the BBC has been involved in such an event. If you love anime, and you live near Pensacola, then mark your calendar for FAN:dom, November 11-13. It’s easy to find great cons all across the United States, but our Canadian “cousins” like to nerd out too! This weekend, Hal-Con is back, and bigger than ever. >Do you like designer toys? How about apparel, sculpture, photography, or art prints? If you enjoy anything and everything about the world of design, and you live near Pasadena, California, then you should definitely visit Designer Con! November 4-6 in the Orlando, Florida, area is the Hurricane Who Doctor Who convention.